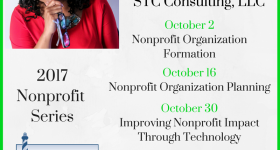 The end of the 2nd quarter of the year is fast approaching and many Nonprofits are well into grant season. 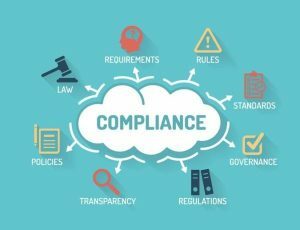 An often overlooked, but vitally important, Nonprofit activity is Compliance. Keep reading to learn more about Federal and State requirements that ensure your Nonprofit keeps its 501(c)(3) status! IRS 990 Federal Filing Requirement — Most charitable nonprofits that are recognized as tax-exempt have an obligation to file an annual information return with the IRS. If your nonprofit was awarded its 501(c)(3) status in 2016, it is required to file a 990 form in 2017. 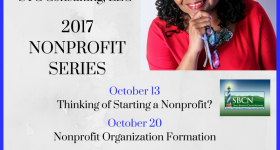 A charitable nonprofit’s Form 990 must be filed with the IRS on the 15th day of the 5th month after the close of the nonprofit’s fiscal year. If the nonprofit’s fiscal year ended in December 2016, then the 990 must be filed by May 15, 2017. Please contact a professional who understands Federal filing requirements for nonprofits. They can assist you in determining which form (990, 990-EZ, or 990-N) to file. The IRS will automatically revoke the 501(c)(3) status for nonprofits that do not file as required.